The 2014 Mercedes-Benz E-Class is number 10 in our list for Best Gas Mileage Convertibles. Current inventory meeting this criteria averages 26,270 miles. The 2014 E-Class achieves a combined MPG figure of 21. Scroll down to see available inventory for 2014 E-Class in your area. The 2011 BMW 3 Series is number 9 in our list for Best Gas Mileage Convertibles. Current inventory meeting this criteria averages 60,106 miles. The 2011 3 Series achieves a combined MPG figure of 21. Scroll down to see what inventory is available in your area - hurry, before these great deals sell out! Coming in at number 8 in our list of Best Gas Mileage Convertibles is the 2017 Chevrolet Camaro. Current inventory meeting this criteria averages 15,026 miles. The 2017 Camaro achieves a combined MPG figure of 22. Scroll down to see what's available in your area right now. The 2016 Ford Mustang ranks seventh for Best Gas Mileage Convertibles. Current inventory meeting this criteria averages 33,808 miles. Fuel economy is rated at 22 MPG combined. Scroll down to see available inventory for 2016 Mustangs in your area. Ranking sixth for Best Gas Mileage Convertibles is the 2015 Porsche Boxster. Current inventory meeting this criteria averages 14,237 miles. Fuel economy is rated at 24 MPG combined. Scroll down to see what inventory is available in your area - hurry, before these great deals sell out! The 2013 Volkswagen Beetle ranks fifth for Best Gas Mileage Convertibles. Current inventory meeting this criteria averages 36,060 miles. The 2013 Beetle achieves a combined MPG figure of 24. Scroll down to see what's available in your area right now. 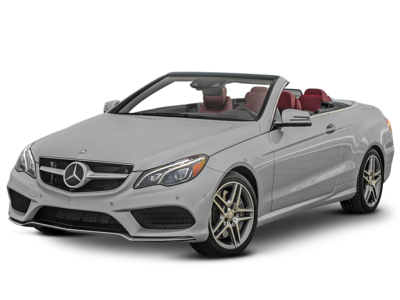 The 2015 Mercedes-Benz SLK-Class ranks fourth for Best Gas Mileage Convertibles. Current inventory meeting this criteria averages 20,922 miles. Fuel economy is rated at 25 MPG combined. Scroll down to see what's available in your area right now. Slotting in at third for Best Gas Mileage Convertibles is the 2014 BMW 4 Series. Current inventory meeting this criteria averages 30,535 miles. Fuel economy is rated at 26 MPG combined. Scroll down to see what's available in your area right now. Ranking second for Best Gas Mileage Convertibles is the 2014 Audi A5. Current inventory meeting this criteria averages 34,741 miles. The 2014 A5 achieves a combined MPG figure of 26. Take a look below to find the A5 in your area that suits you best! The 2016 Mazda MX-5 Miata ranks first for Best Gas Mileage Convertibles. Current inventory meeting this criteria averages 9,982 miles. Fuel economy is rated at 30 MPG combined. Scroll down to see available inventory for 2016 MX-5 Miatas in your area.